Miku Uemura is professional surfer. She started surfing in Makaha, Hawaii where she is based. She is surfing Hawaiian style and has influence on girls riding on longboards. Even during pregnancy, she participated in a game at Bali’s big wave and won the championship. As her child grew up, she returned to the game and won with powerful riding at the big wave of Bali of the first race of this year’s JPSA Longboard. We did a short interview with her.The picture is free surfing in Bali. Q: When did you start surfing? How did you start surfing? Started surfing in Hawaii when I was 6 years old. Started as a tandem partner to a Makaha local. Got my first surfboard for Christmas. Have been surfing ever since. Q: Please tell me the charm of surfing. Are there any episodes? Absolutely LOVED watching Rell Sunn surfing Makaha Beach growing up. She is and will always be my favorite surfer and role model. Her surfing was always so graceful but powerful at the same time. She was an all around water women and I would love nothing more than to be like her. Q: Please tell me your usual day schedule. Currently started our very own surf school called Let’s Surf HI. We operate daily. We are up about about 6am on days we have lessons and head to the storage to grab gear for our guests. 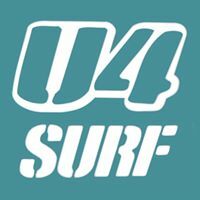 Whether it’s surf, SUP, or supsquatch, we have the best team on the Westside of Oahu offering the ultimate ocean experience to all our visitors. Q: What is your favorite thing except surfing? Absolutely love just hanging out at the beach and teaching Manami how to interact with the ocean. Q: What kind of place is Hawaii? Please tell me where to recommend. Hawaii is paradise! I highly recommend staying in KoOlina Resorts. If you are traveling with your family, get a rental car and rent a vacation rental or Airbnb! Instead of eating out every meal, save by staying at a vacation rental. It’s great because vacation rentals have kitchens. Put that extra money towards signing up for activities!! Q:Please advise the girl ‘s surfer. Practice but make sure you’re having fun! Every wave that you ride will be different. There’s no same wave in the world. It’s important to learn to surf different types of waves, whether it’s reef break or beach break… Know your limits and enjoy your time out surfing! Q: Please tell me about your future goals. I’d love to be able to travel the world with my family… Our goal right now is to make sure that our company we just started becomes successful… To ensure each and every guest is able to experience the ultimate surf, sup, or supsquatch experience during their stay in Hawaii. Q：What is surfing for you? Surfing is my lifestyle… Wouldn’t be who I am without it!